It was around the middle of March, 1961 when my drinking got so bad I was finally lured into one of those Twelve Step recovery meetings in a local church basement. I remember like it was yesterday the room being filled with the thick aroma of coffee and cigarette smoke. As I glanced around, I saw a bunch of old geezers, some with bulbous noses and others with cauliflower ears and pock-marked cheeks, swapping war stories about their bad days of boozing—drinking Sneaky Pete, sleeping in doorways and shaking so hard their teeth would almost fall out. I’m sure there were others at the meeting who were less down on their luck, but for some reason I ignored them and focused on what I considered the real alcoholics. I was 27 at the time, the youngest there by 30 years or more and I felt completely out of place. However, I found the war stories quite entrancing and entertaining so I continued coming for some weeks. Then one night I was asked to say a few words about my own drinking. As I spoke, I got the feeling that I was on my way down the same road these old timers had traveled and it frightened me. What made it worse was when they told me I had an incurable disease called alcoholism that could only be arrested but not cured if I stopped drinking one day at a time. I thought to myself, are they kidding or what? Okay, so I let my drinking get out of hand for awhile but there’s no way I’m anything like these guys. In fact, I almost felt insulted by their outrageous suggestions. Actually, as I recall it now, I grinned rather self-righteously at these old fogies while saying to myself, “Even if I do drink too much at times and get into some trouble now and then, I have a very long way to go before I could possibly become anything like these poor drunks.” That’s when my screwed up brain told me I was in the wrong place with the wrong people at the wrong time in my life. So I finished my coffee and left. I think on the way out I smugly patted myself on the back for spending all those weeks in that church basement giving that Twelve Step program what I thought was an honest to goodness try. That very same night, this phony started drinking again. Would you call that a relapse? I don’t think so because, looking back on that false start on the road to my eventual recovery, I had never really gotten sober. I had simply cut back on my physical drinking for a very short period of time but never lost my mental obsession for alcohol. I would simply call that initial experience a rejection of the idea that I could ever get as bad as those old geezers. I was still convinced that a little more willpower and self-control would do the trick. Then What Is An Actual Relapse? Most experts in the addiction recovery field consider an actual relapse to be the return to the abusive use of alcohol and/or drugs following a serious period of abstinence. To put it in sharper focus… if you drink one beer on one occasion, you’ve had what the recovery community calls “a slip.” However, if you’ve been attending meetings in a recovery program on a regular basis, have been working the Twelve Steps and have enjoyed a stable period of sobriety for some time and then return to drinking and its serious consequences in your life, that would be considered a serious relapse. Such a relapse often requires medical treatment and sometimes psychiatric counseling as well. Then to stay sober once again, it is also vital that one makes an even stronger commitment to a Twelve Step recovery program like Alcoholics Anonymous or Narcotics Anonymous as soon as possible. The longer one delays returning to the kind of treatment a support group offers, the more serious the impact of the physical, mental, and spiritual parts of the disease will have on the addict. Why Does Relapse Occur In Addiction? He, like others in the field, notes that “slips,” unlike a serious relapse, generally occur very early in sobriety when people are still not convinced they are truly addicted. It’s called “the investigational period” similar to my observing those old geezers in that church basement. 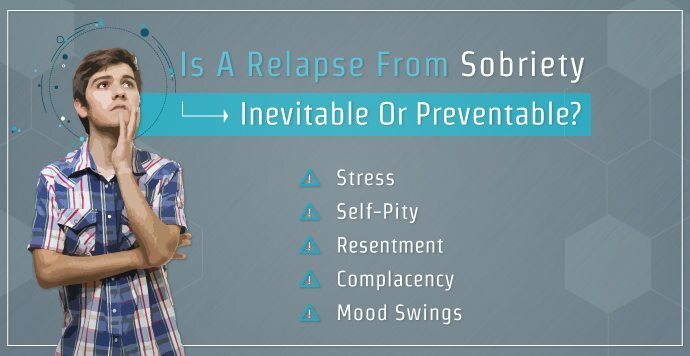 A relapse occurs when one is essentially convinced they can no longer drink or drug safely but then after some period of time, begin to rest on their laurels and take the need for treatment less seriously. Perhaps that’s one of the reasons why a growing number of folks in the recovery community these days view relapsing as the rule rather than the exception when it comes to addiction treatment. Also a great majority no longer see it as a catastrophic event but rather as an opportunity for learning more and better strategies for overcoming urges and for identifying the moods and situations that used to be difficult to face without a drink. Many experienced experts in the field will tell you that what Is most inappropriate is the kind of black and white thinking that a serious slip-up turns seemingly successful recovery into sheer disaster and defeat. They say it is not the end of the world as the addict may think or the loss of everything he or she had striven for. They must come to understand that it takes time to change all the mental apparatus that supports any particular habit—the memories and all the situations that can trigger craving—and that sobriety can be rather tenuous until many of those changes take place. In other words, the disease of addiction greatly affects the brain and it can take a considerable period of time to change the brain back to normal, rational thinking that can reduce the mental obsession and compulsion for an addictive substance. There is general agreement in the medical community that over the first two to three years of recovery there is a 40-60 percent chance that alcoholics my experience at least one relapse. For drug addicts, the rate of relapse over that same period of time can run as high as 70 percent. And for those addicted to opiates, there’s an 85-90 percent chance of relapse after two or more years of receiving some form of treatment. After being sober more than 50 years, I’ve learned from my own experience and of others’ that there are a number of warning signs and symptoms to watch for to prevent a relapse. First of all, the relapse process begins long before alcohol and/or drugs enter the picture. It starts when the addict slowly begins to withdraw from treatment, whether it be cancelling appointments with an addiction counselor or missing fellowship meetings at Alcoholics Anonymous or Narcotics Anonymous. Most people who relapse are not consciously aware that this is putting them in danger. Their disease is telling them they have now learned enough to keep themselves sober. If these individuals are successful in the eyes of the world, it is easy for them to become complacent. They may become less rigorous about applying all the coping skills they developed when they first learned how to stay sober. Then, when problems and stress arise as they do in most lives, their disease reminds them what takes away those feelings of fear and anxiety, immediately and effectively. So they pick up a drink or a drug and everyone around who had admired their sobriety wonders how this could have happened. There is also the mistaken belief that people who start drinking again haven’t really “hit bottom” and therefore need more pain in their lives to reach out once more for help. That’s what makes the disease of addiction so cunning, baffling, and powerful. This is never more evident than when someone whose life is so good returns to a destructive lifestyle. No alcoholic or drug addict really wants more pain in their lives or a lower bottom that may well cost them everything they had just gotten back in sobriety. In most cases they relapsed simply because they stopped doing the things that were keeping them sober in the first place. There is one other mistaken belief that is essentially based on being judgemental. It is the belief or perhaps accusation that those who relapse over and over again are “constitutionally incapable” of getting sober since it requires some degree of self-honesty. Alcoholics Anonymous has proven that belief to be wrong time and time again as members who have squandered their sobriety many times over eventually find whatever it is they have been missing and stay sober for the rest of their lives. Strangely, more relapses occur when life is going well than when it is not. When they do occur, it’s a clear indication that something is missing in the recovery process even if it appears intact to those who associate with the one involved. That’s why it’s essential to remain aware of some of the following symptoms and warning signs. Resentment ranks high on the symptoms list. Many say it should be in the number one spot. When someone refuses to forgive and forget once they’ve been slighted, mistreated or harmed in some way, that rigid, unhealthy attitude can lead to anger, rage and an almost uncontrollable desire to get even. When not dealt with in a rational, sober way, there’s usually another destructive, drunken spree waiting right around the corner. Don’t get hungry, angry, lonely, or tired. Any of these symptoms can create the kinds of mood swings that used to lead to a drink. In recovery groups, we can find people to socialize with, have lunch or dinner with and go to meetings with and thus avoid these four dangerous symptoms that could trigger a relapse. Hanging out with old drinking buddies is often a sign that an addict’s built-in forgetter is leading him down the wrong path. It’s recalling the old days as being filled with pleasantries and fun rather than all the pain and shame drinking brought into our lives. To prevent relapsing, it’s essential to avoid people, places, and things that could lead us back to alcohol and/or drugs. Self-pity is something else to avoid like a plague. While it may seem at times that the whole world is against us, that we can’t get a break and that life is just not fair, that kind of negative thinking can only lead to disaster. We must use the tools we’ve learned at Twelve Step meetings along with the well-known Serenity Prayer to cope with the curve balls life has a tendency to throw at us. Avoid trying to make up for the things we lost while drinking by working too hard and too long. This can often lead to impatience, tension, and anger particularly when the family doesn’t seem to be showing us enough appreciation for all we’re doing for them. The truth is, it’s usually our own greed that’s driving us together with the refusal to wait for things to improve in God’s time. That can get an alcoholic frustrated and thirsty. Stress is another symptom addicts must constantly be aware of since it comes from all types of sources—family responsibilities, demands on the job, health problems, past debts, and other financial pressures. We should look for ways to relieve stress through such things as hobbies, exercise, seeing comedy shows and even being of greater service in our recovery support group. Complacency is yet another big danger sign. We must be careful when life in sobriety gets too good. That’s when we can rationalize that just one glass of wine at dinner or a small cocktail to celebrate a happy event would be alright. After all, we now have more knowledge and self-control to prevent our drinking from ever getting out of hand again. Right. The problem is, that’s the cunning way our disease talks to us. Dr. William Silkworth, the well-known physician who cared for Alcoholics Anonymous co-founder Bill Wilson when his drunken sprees would wind him up in old Towns Hospital in New York City, recommended a very simple solution for avoiding relapse many years ago. 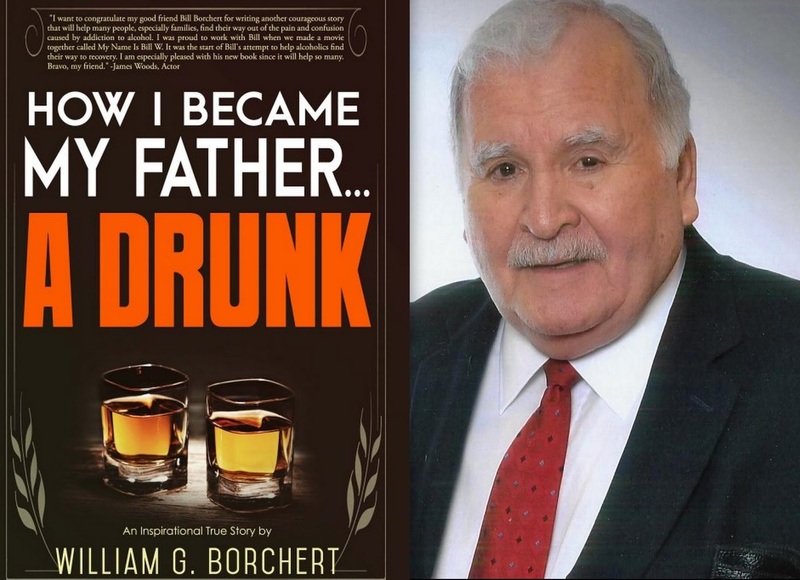 He would tell a story that related an alcoholic who had a relapse to a man who had just suffered a serious heart attack. The cardiologist explained to his patient the heart attack was caused by being seriously overweight, out of shape, eating fatty foods, and smoking three packs of cigarettes a day. After the patient recovered, his physician put him on a special diet, an exercise regimen and insisted he stop smoking so he could stay in good health. Since the heart patient naturally wanted to live, he went home and did exactly what the cardiologist prescribed, including running two miles three times a week. At the end of six months he had never felt so healthy in his whole life. By the end of the first year, however, he began getting a bit bored with the strict regimen. He felt so good he thought some fried foods and ice cream once in a while wouldn’t really hurt. Then he started cutting back on his exercise, particularly the running. One day he was having lunch with a friend who offered him a cigarette. How could one cigarette hurt he thought? Soon he was back to not exercising, eating fatty foods and smoking three packs of cigarettes a day. He had now stopped doing the things that had been keeping him well. The result was predictable. He had another major heart attack and almost died. Dr. Silkworth explained the very same thing can happen with alcoholics and drug addicts. They find a regimen or program that gets them sober and keeps them sober. Then they begin to feel so good they gradually stop doing those things that got them sober in the first place—and they relapse. Some make it back into the treatment that got them well. Others don’t and die. Dr. Silkworth’s solution to preventing a relapse is that simple. Keep on doing the very same things that got you sober in the first place and you will stay well and sober one day at a time and have a great life. I know the good doctor’s solution works because I’ve been following his advice for the last 53 years.